A Gas Central Heating system should provide efficient, clean, quiet and controllable gas heating for your home. Central heating prices vary depending on the size of your house, the central heating boiler type and the central heating system that is best for your circumstances, but you can trust Chester Gas to always give you honest and reliable advice. 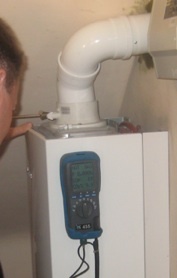 A good quality central heating boiler, properly installed and commissioned, should give years of trouble free service. From a full system, to a new boiler or replacement radiators we can help you. We always aim to give a top quality, value for money service, but never compromise on quality. Our prices include full system cleaning and flushing, and follow the boiler manufacturer's commissioning process. Beware of companies that cut corners in the installation and commissioning process - it will end up costing you money in the long run.